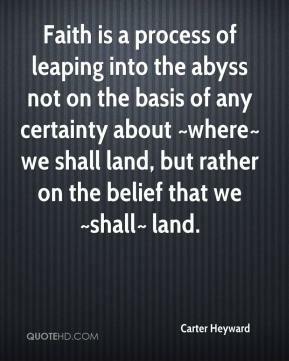 Faith is a process of leaping into the abyss not on the basis of any certainty about ~where~ we shall land, but rather on the belief that we ~shall~ land. We are born in relation, we live in relation, we die in relation. There is, literally, no such human place as simply 'inside myself'. 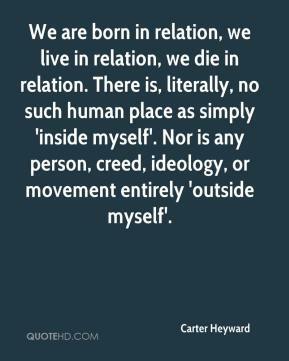 Nor is any person, creed, ideology, or movement entirely 'outside myself'. Love, like truth and beauty, is concrete. Love is not fundamentally a sweet feeling; not, at heart, a matter of sentiment, attachment, or being "drawn toward." Love is active, effective, a matter of making reciprocal and mutually beneficial relation with one's friends and enemies. Love creates righteousness, or justice, here on earth. To make love is to make justice. 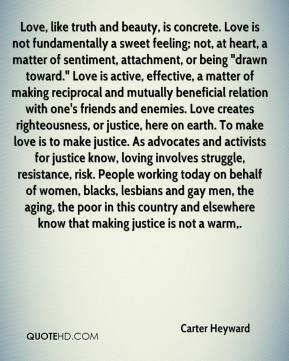 As advocates and activists for justice know, loving involves struggle, resistance, risk. People working today on behalf of women, blacks, lesbians and gay men, the aging, the poor in this country and elsewhere know that making justice is not a warm. 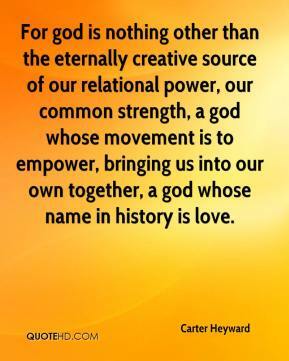 For god is nothing other than the eternally creative source of our relational power, our common strength, a god whose movement is to empower, bringing us into our own together, a god whose name in history is love. 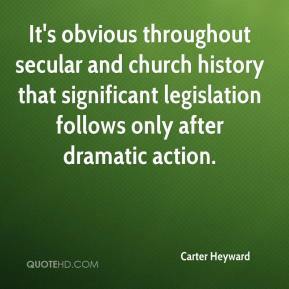 It's obvious throughout secular and church history that significant legislation follows only after dramatic action. 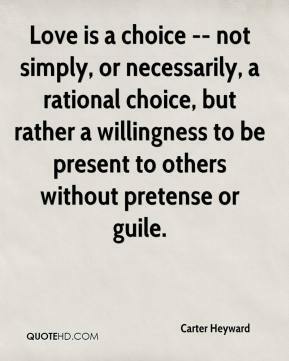 Love is a choice -- not simply, or necessarily, a rational choice, but rather a willingness to be present to others without pretense or guile. 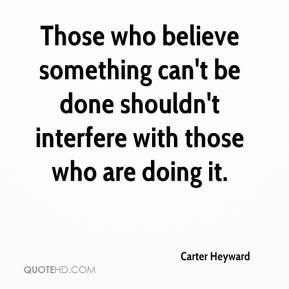 Those who believe something can't be done shouldn't interfere with those who are doing it. 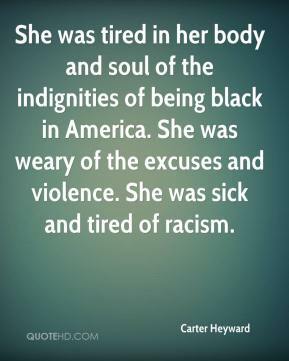 She was tired in her body and soul of the indignities of being black in America. She was weary of the excuses and violence. She was sick and tired of racism. I'm a priest, not a priestess. ''Priestess'' implies mumbo jumbo and all sorts of pagan goings-on. 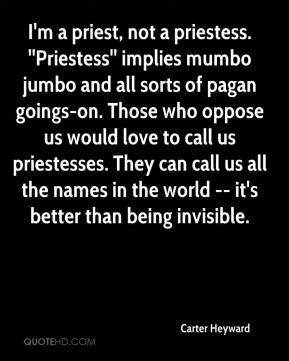 Those who oppose us would love to call us priestesses. They can call us all the names in the world -- it's better than being invisible.